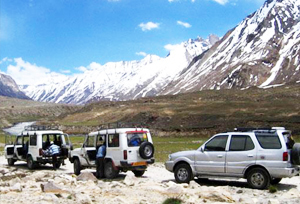 A must embark road trip for the novice travellers, Garhwal Himalayan Jeep Safari bewitches the tourists for its picturesquely set landscape and diverse geographical features. This happening travel venture bestows the tourists with fascinating background which is dotted with energetic rivers, magnificent mountain peaks and all-time winner, pine forest. The voyage initiates from Delhi and starts unfolding its actual jewels once it enters the mystical land of Rishikesh. Auli, the skiing hub and favourite spot for cable car ride spellbinds the travellers with unspoiled scenic charm. The sulphur springs of Tapovan, the alpine meadows of Chopta are the highlights of this trip. The best views are yet waiting to greet the travellers when they start trekking towards Tungnath following the route of Chopta - Chandrashila peak. Finally, a glimpse of the peaks of Nanda Devi, Panchachuli and Kedarnath adds a sparkling turn to this entire road trip. On arrival at Delhi airport you will be received by out representative. Transfer to a hotel for overnight stay. Early morning you will be transferred to the train station to board the train to Haridwar. On arrival at Haridwar meet our trip leader and drive to Rishikesh. Once you reach check in to hotel. After lunch take rest for a while and leave for sightseeing. 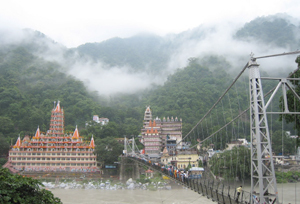 Explore the Ashrams, temples, Yoga centres, Ram Jhula and Lakshman Jhula. Overnight stay. Drive by jeep from Rishikesh to Joshimath (8 hrs). The drive will move along the Ganga and the Alaknanda Rivers. On arrival at Auli transfer to the hotel. Take a 3.9 km cable car ride to the scenic Auli Ski Resort. 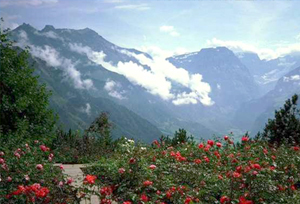 You will be blessed to see the picturesque views of the Garhwal Himalaya including Nanda Devi. 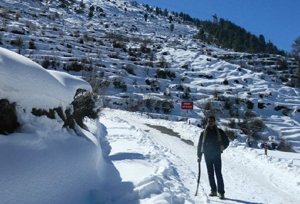 Overnight stay at Auli tourist bungalow or at Joshimath hotel. Drive from Auli to Tapovan. 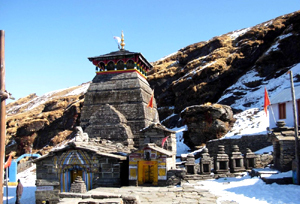 En-route you will get to see the Temple of God Narsingh at Joshimath. The statue of God Narsingh is carved out of a single semi-precious stone. After exploring the Tapovan hot water spring drive to Badrinath (3 hours) along the river Alaknanda. 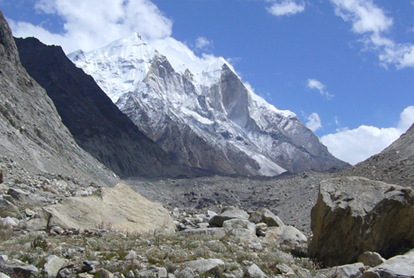 Have a glimpse of the startling Nar and Narayan Parvat and the Neelkanth peak (6597 m). Overnight stay at Badrinath. Today we will drive to Chopta via Joshimath and Chamoli (4 hours) at 2347 m. The drive blesses the travellers with the views of high altitude alpine meadow along with the views of the Himalayan ranges. Overnight stay in a camp at Chopta. In the morning 3.5 km hike to Tungnath Temple (13,500 ft). It is located on the crest of a hill at a height of 3680 m. Witness the startling views of Panchachuli, Nanda Devi, Chaukhamba and Kedarnath. Also you can have a glimpse of the panoramic views of the Garhwal Himalaya. Return to Chopta Camp for night stay. Drive from Chopta to Uttarkashi (8 hours) along the banks of the Bhagirathi. Overnight stay at a guest house in Uttarkashi. Early morning leave for the drive from Uttarkashi to reach Gangotri (97 km). A must remember drive across the ancient pilgrimage route. Overnight in tents near Gangotri. The day is reserved for local trekking and sightseeing. In the morning explore the area. You can have a picnic lunch. Trek back to Gangotri Camp for overnight stay. An early morning drive to Mussoorie (1921 m). Visit the famous gun hill. From here one can get panoramic views of snow tucked Himalaya. Overnight stay will be at hotel in Mussoorie. Today's half day is devoted to sightseeing. Easy trekking trails across the pine scented Happy Valley and the Tibetan township. Explore the cliff hung Buddhist shrine where one can see ceremonial trumpets and acolytes chanting ancient scriptures. Drive to Dehradun to board the Shatabdi Express to Delhi. Upon arrival at Delhi Railway Station, our representatives will assist you to transfer to the hotel. Reach airport to catch onwards flight according to your flight schedule.